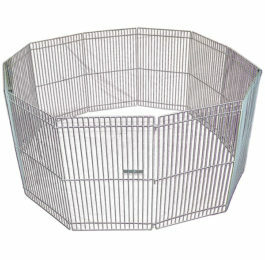 One of the most exciting parts of adding a new pet rabbit to your home is coming up with their name. Sometimes when you adopt a pet from a shelter they come with a name picked out, but that doesn’t mean you can’t pick a new name for your new pet. A lot of times the perfect name will come out of their personality or the color of their fur. Sometimes you’re just stumped coming up with clever bunny names that suit your new rabbit. 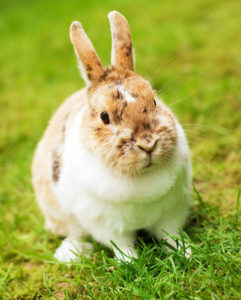 We’ve rounded up a few lists of rabbit names for you to consider. Some of these are names from popular culture, names based on color or breed, or just fun and creative names. The names are divided by male, female, or unisex names. We also have a list of names for pairs if you’ve adopted two new rabbits together. Some of these are the most popular names and others are more creative ideas. 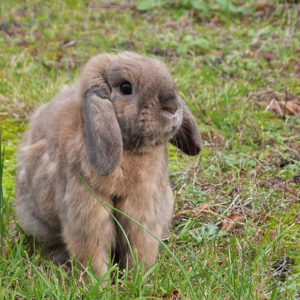 If you’re looking for cute bunny names, there are plenty on these lists. If you’re thinking about getting a pet rabbit and you haven’t yet, we highly recommend you adopt a rabbit from a shelter rather than buying a rabbit from a pet store. Rabbits are the third most surrendered pets to shelters (following dogs and cats) and are the third most likely to be euthanized if they’re not adopted. The House Rabbit Society is a network of local shelters across the United States (and in some other countries around the world). 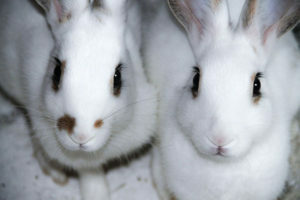 We recommend visiting their website to find a rabbit shelter near you. FAQ: Do rabbits recognize their name? Still haven’t found the bunny name you’re looking for? Here are some ways to brainstorm names. If it’s a family pet, have everyone get together to brainstorm name ideas. Get a piece of paper to write down bunny names. You’ll want to think of a whole bunch at once and then go back and pick the one you like best from the list. This is easier than just trying to think of the best one on the first try. 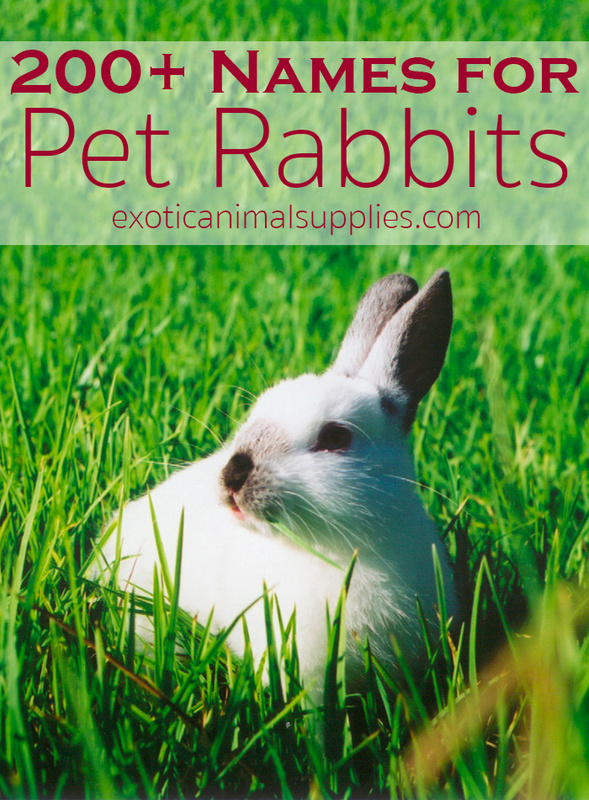 If you’ve spent any time with your new pet rabbit, think of any names that describe their personality. If they’re shy and quiet you might like a delicate name like Daisy or Harry. If they’re energetic and bouncy maybe Flash or Binky fits them better. Next, think about how your bunny looks. 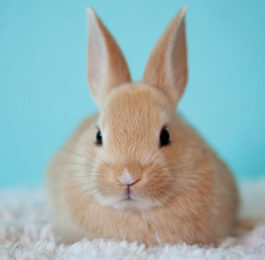 Maybe the color of their fur reminds you of a certain food or spice: an orange rabbit could be a Ginger or a Carrot, brown could be Cinnamon or Chocolate, white could be Sugar or Cream. 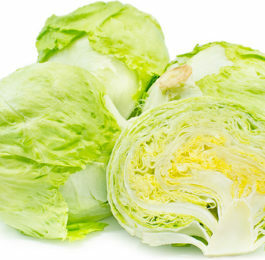 Maybe they remind you of something from weather or nature. Snowball or Snowflake goes well with a white rabbit. Stormy or Granite would be good for a gray rabbit. Next, think about any characters you love from popular culture. Think of your favorite books, movies, or TV shows. There’s plenty of rabbits in fiction, like Peter Rabbit, Bugs Bunny, Roger Rabbit, etc. You may also want to name your pet bunny after a character you love or they remind you of. Now, consider any human names. Maybe there’s a name you enjoy or you think fits their personality. Flip through a baby name book if you have one nearby and see if that gives you any ideas. Once you have your list of names, read through it and circle any names that stand out to you. If the family is picking together, have everyone vote for their favorite. Continue whittling it down until one name is left. If it feels right, then that’s your new bunny’s name. 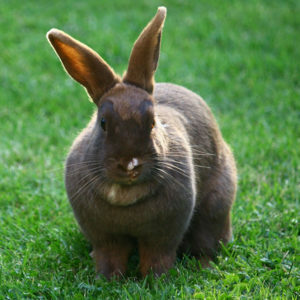 Just like cats and dogs, rabbits can learn to recognize their name along with other voice commands. It will take time and a little effort on your part, but your pet rabbit can learn their new name. 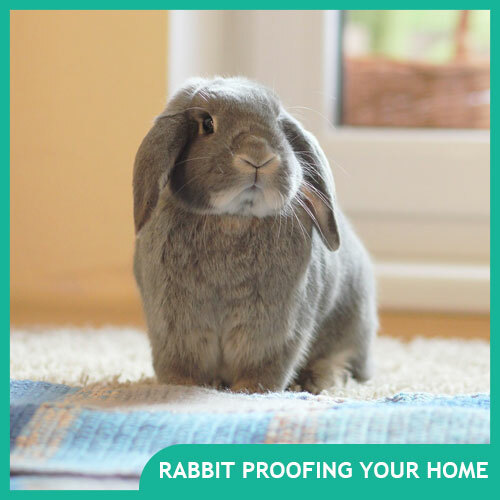 If you’d like to train your rabbit to come to you when you call your name you can. It takes patience and repetition to do. Each day set aside 5-10 minutes to work on training with your rabbit. When your rabbit is out of their cage in their play area, sit on the floor. Hold a small amount of their favorite treat and say “[Rabbit’s name], come.” Wait a moment. 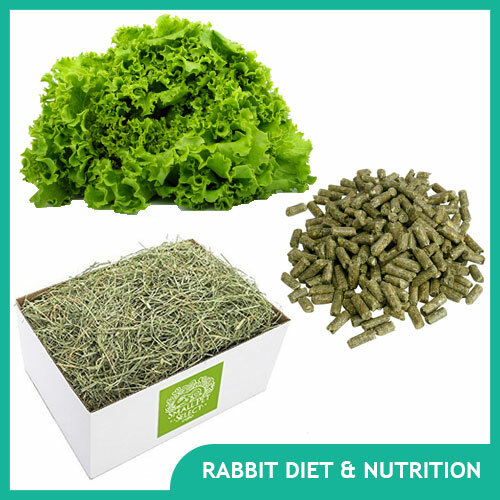 If the rabbit comes to you, give them the treat and some verbal praise. If they don’t, continue to hold out the piece of treat and repeat the command until they come. Once they successfully come, move a little bit further away and repeat. If the rabbit seems to follow you because you have the treat in your hand, repeat the command so they will associate it with the action and the treat. Repeat this training each day. Eventually, you can replace the treat with a reward petting or give them a toy. Make sure to call for them frequently to reinforce the training.